Are you kidding? Coffee crusted steak? I never heard of such a thing and couldn't quite imagine what that would taste like. But, I know I love a good grilled steak and I love my java. I was so intrigued that I decided to give it a try. It was A-mazing! 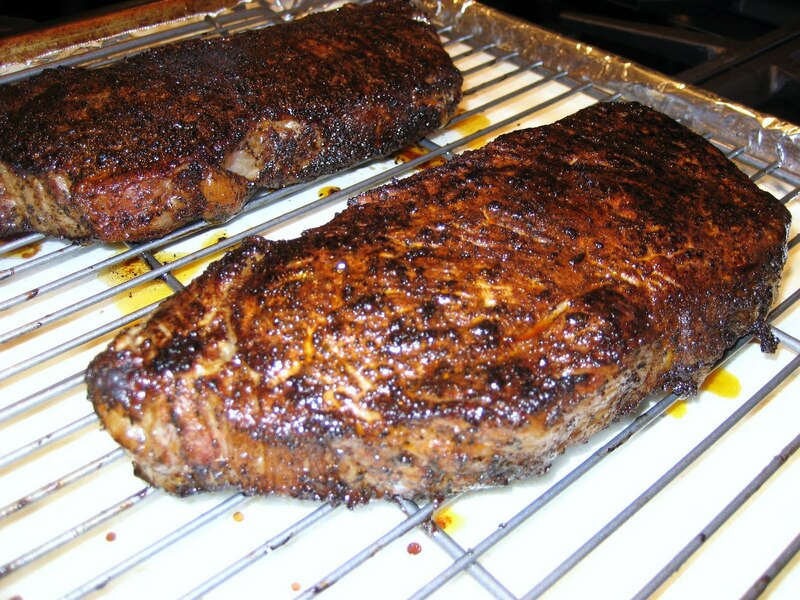 The coffee rub forms a beautiful, almost black crust on the outside and as you cut into the steak, the seal is broken and a very tender, juicy pink steak is revealed on the inside. I am hooked!! By the way, there isn't any hint of coffee taste. 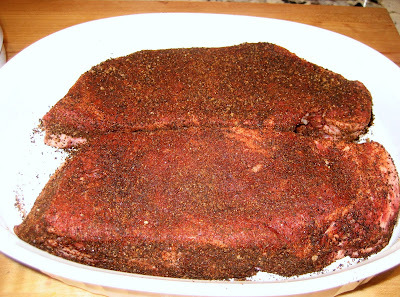 Take the steaks out of the refrigerator and let sit for 15 minutes to come to room temperature before putting the rub on. To make the dry rub, place all the ingredients in a bowl and toss with a fork to combine. If the brown sugar is hard, use a small food processor to grind everything together. Marinade the steaks by evenly coating all sides with the dry rub, patting the rub in gently. Save any remaining rub for another time in a sealed container, it will last for weeks. Marinade for 20 minutes to overnight, whatever you have time for. Grill the steaks on a high heat, 3 minutes per side depending on the thickness of the steaks. If cooking inside, pan sear the steaks in a frying pan with a combination of 1 Tbsp of oil and 1 tsp of butter on medium high heat for 1 minute on each side to brown the steaks. Place in a preheated 425 degree oven for 10 minutes depending on the thickness of the steaks, assuming 1.5 inches thick. Remove to a platter and let the meat rest for 5 to 10 minutes before devouring. Juicy kona crusted grilled sirloin. 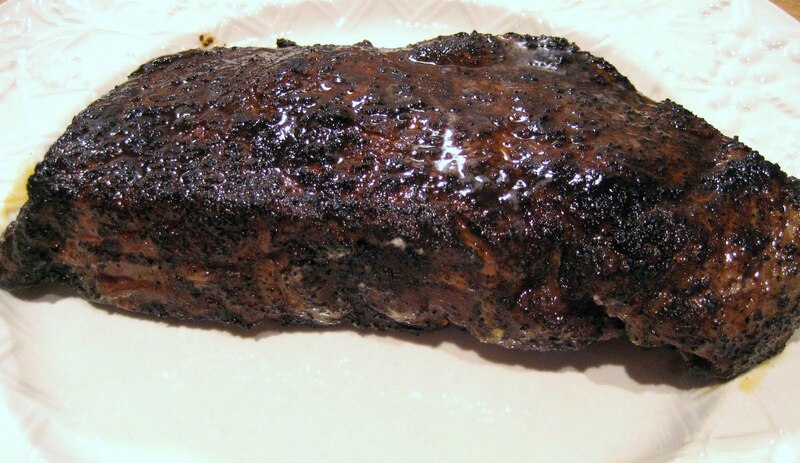 Juicy coffee crusted steak pan seared and finished in the oven. They were by far the best steaks I ever ate. Follow the explicit directions and you cannot go wrong..gold stars all around.....by the clock! Perfect!! How intriguing _ I have never heard of this but it looks divine. I'm guessing the coffee gives off a wonderful aroma. Nice picture too btw. Thanks Whil! I hope you try this, it's delicious!